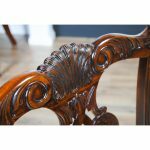 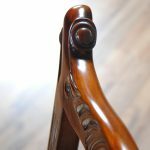 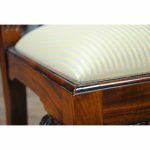 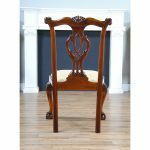 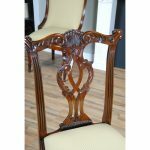 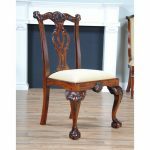 The Philadelphia Chippendale Side Chair from Niagara Furniture was inspired by some of the finest carvers and cabinetmakers ever found in the United States. 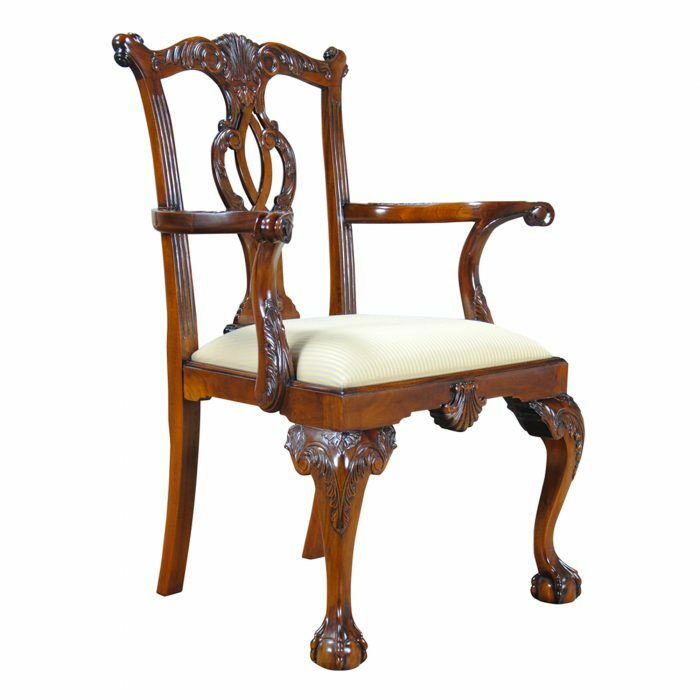 Similar to examples found in the Philadelphia Museum of Art our chair would have been at home in 18th Century Philadelphia high society. 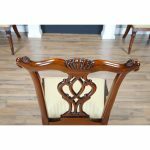 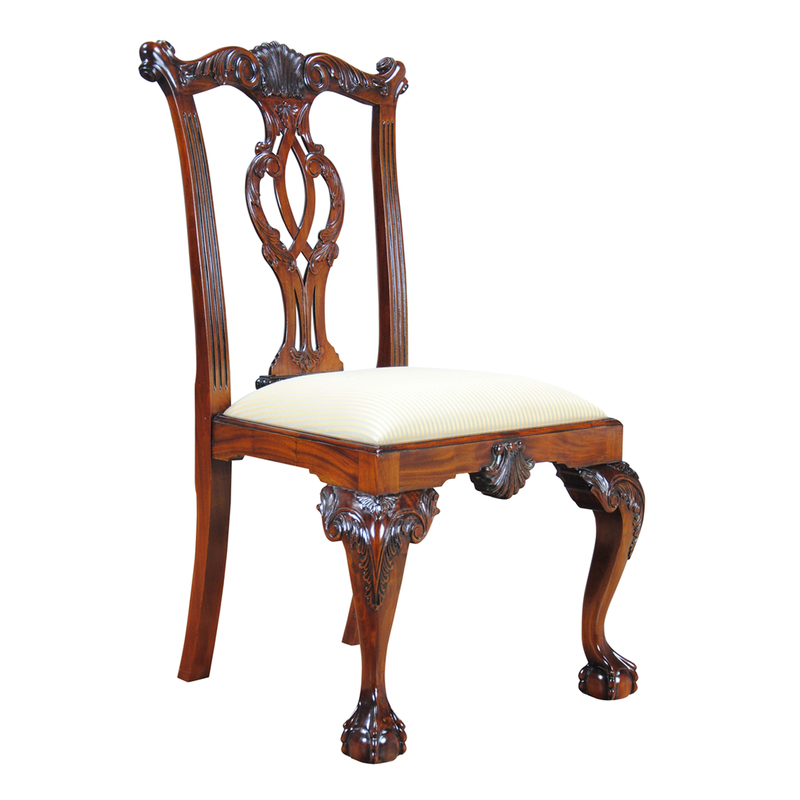 No expense was spared in creating this high quality, luxurious chair featuring shell carvings, exaggerated ears on the ends of the crest rails, curved and scrolled arms, acanthus carved knees and ball and claw feet. 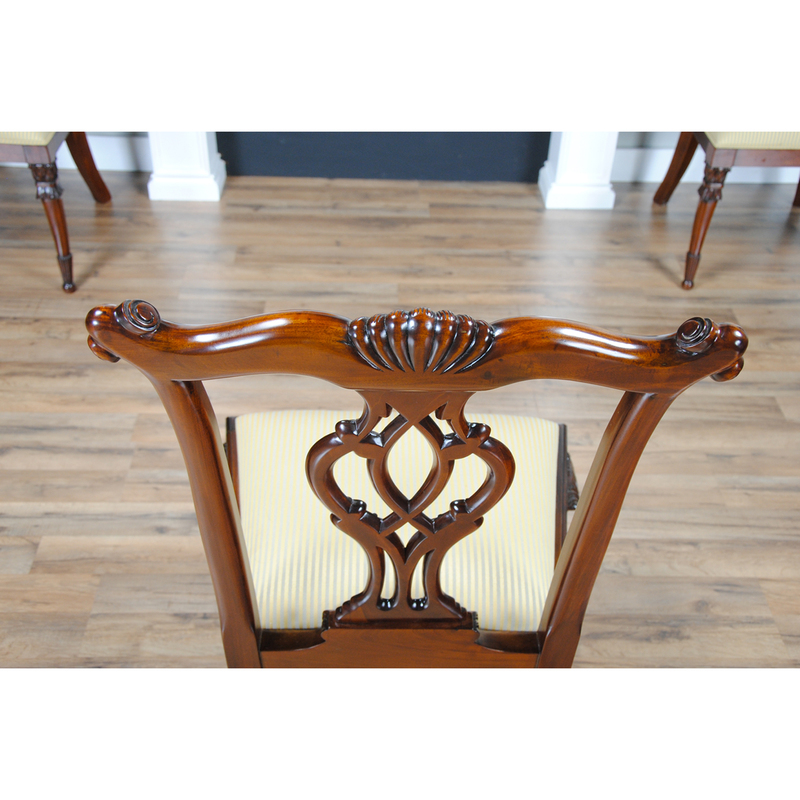 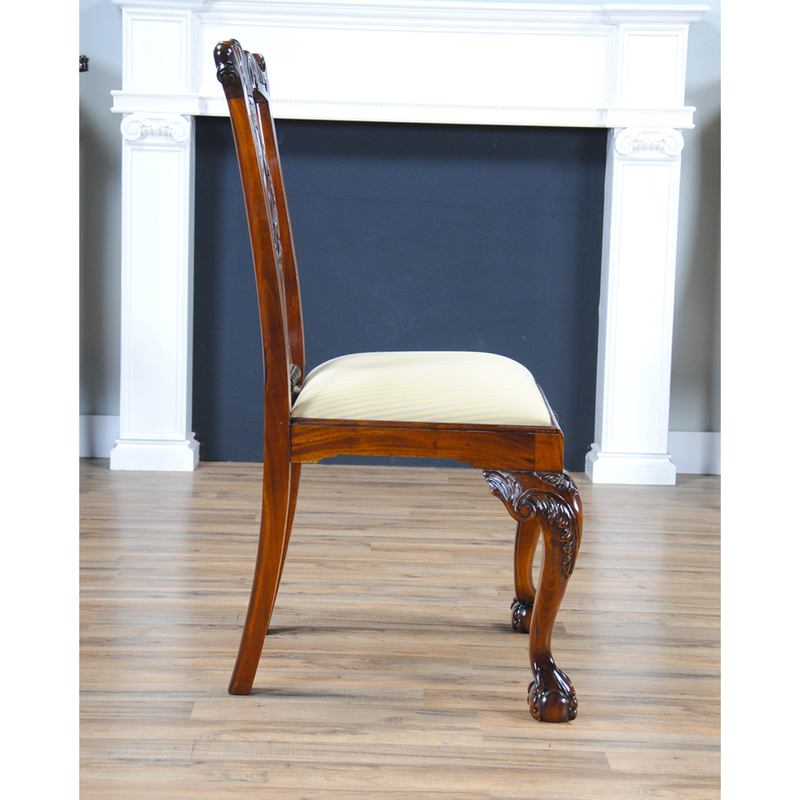 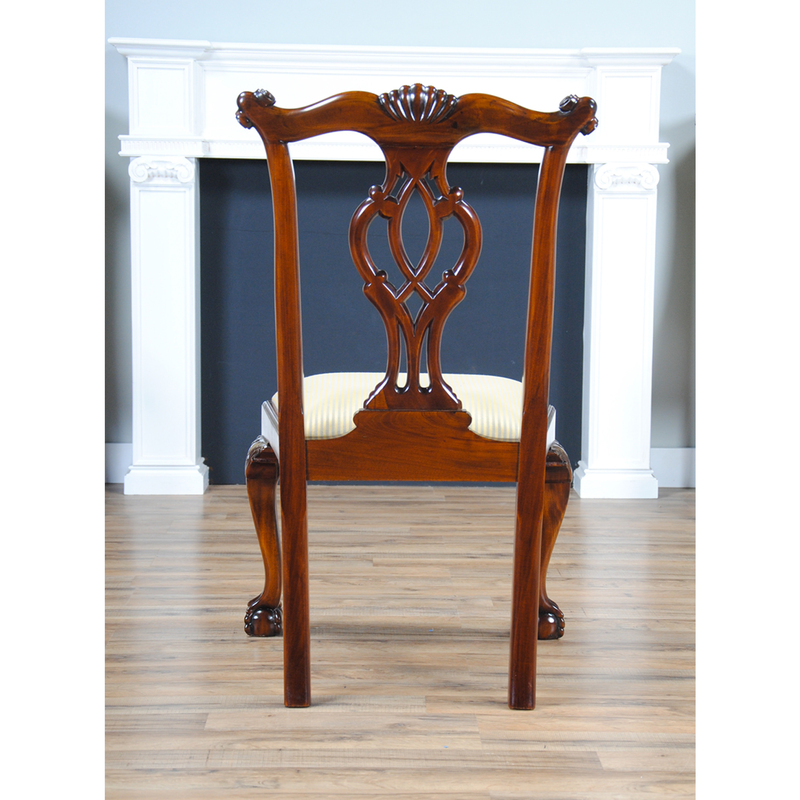 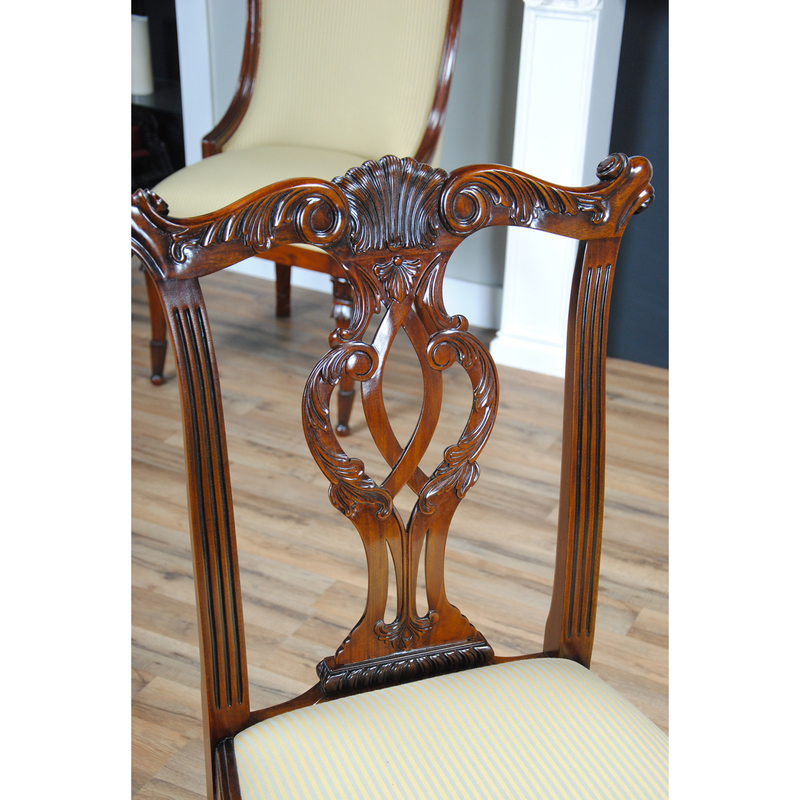 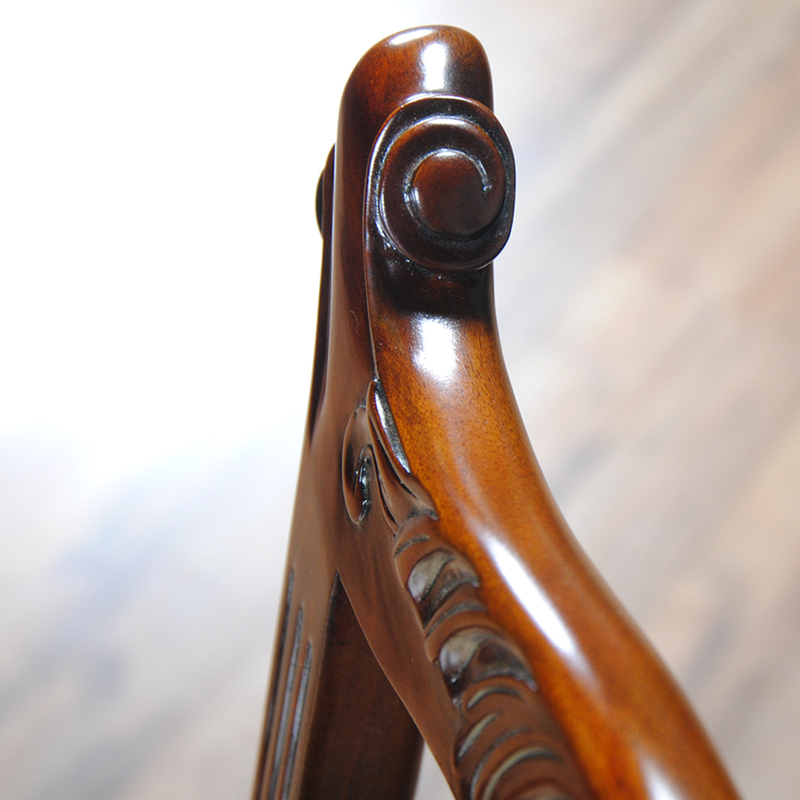 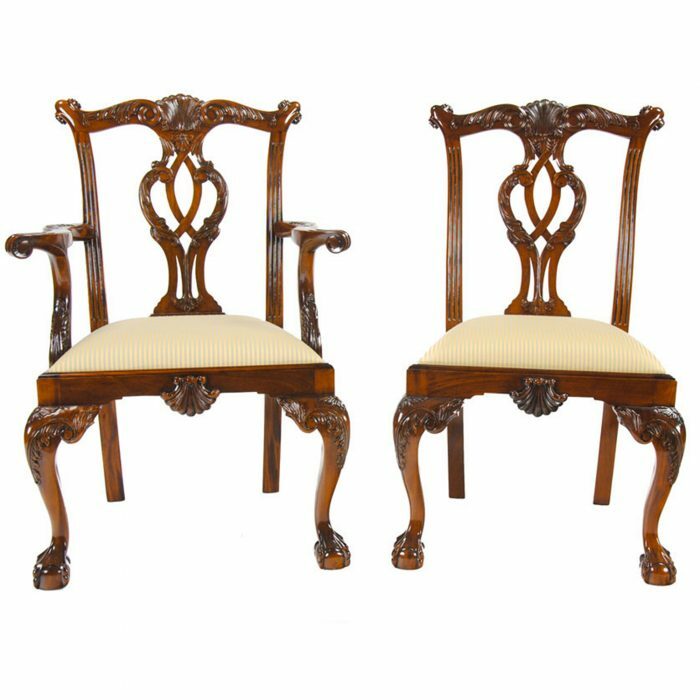 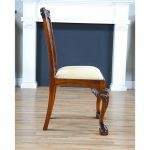 Solid mahogany throughout, the Philadelphia Chippendale Side Chair exudes quality. 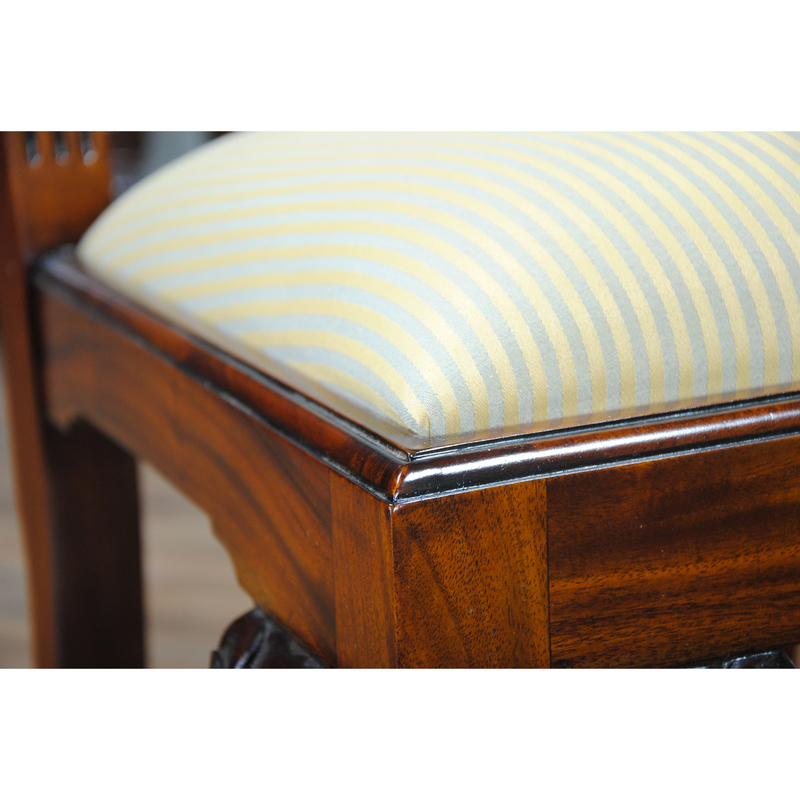 A simple drop in seat held in place by four screws makes recovering the fabric easy and inexpensive.